"Innovation requires unity; which emerges from purity of thought+word+action." Stimulate and leverage creative thinking. Transform different and opposing ideas into a coherent whole. Take a unique business challenge and help stakeholders develop new solutions and a road map for success. Your organization presents a current business challenge. 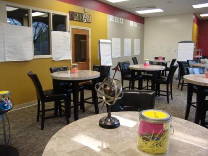 You attend an innovation lab experience customized to your needs. Your team develops new solutions and a roadmap for their successful execution ..
Why Use The Innovation Lab? Develop a structure or framework around a particular project. Experiment with different ideas before a new product launch. Leverage the full creative capacity of your team members (have full use of The DeSai Group's large array of innovation tools). Access to Unique Insights: using cross-industry expert faculty. Speed and agility are required. Solutions need to be discontinuous. Sponsorship exists, but methodology and disciplined execution are lacking. Issues are strategically important and imperative. 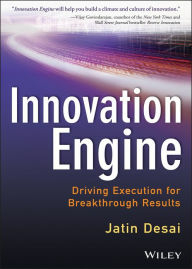 At DeSai's Innovation Lab, organizational team members can come together and learn about "Fusion Thinking" (the process of evaluating and determining your own unique innovation style). Through this process, you will have an opportunity to uncover potential barriers and discover new opportunities for improved products and services. We invite you to view our iLab vidoes in the mean time.